This 240-year-old department store retail chain from the UK takes up almost 3000 square meters on the first floor at Spice, offering clothes, cosmetics, accessories and design goods for the home. 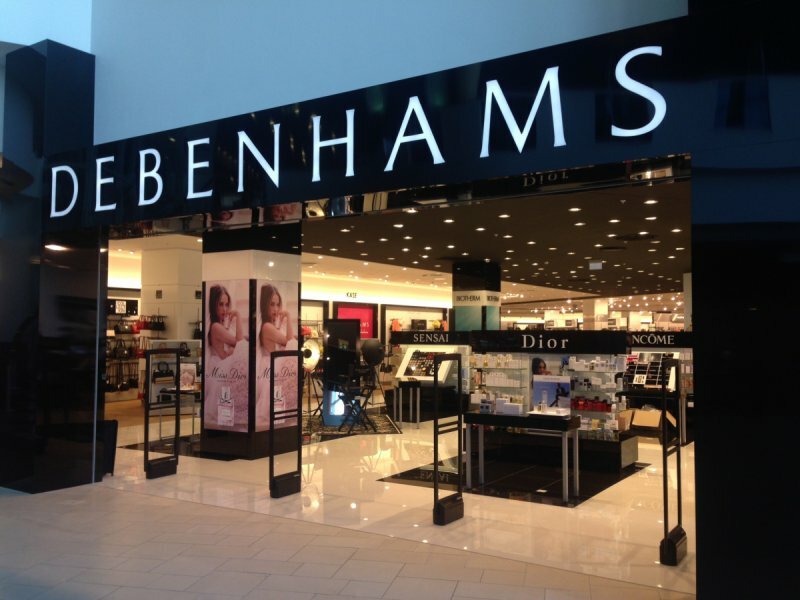 What’s interesting at Debenhams is the mix of different fashion designers, both well-established and up-and-coming. Jasper Conran is blending fifties and sixties cuts. Ladies should also check out Janet Reger, often dubbed the “queen of luxury lingerie”, as well as John Rocha, whose designs are an intriguing fusion of Celtic and Chinese elements, and Julien McDonald who has designed outfits for everyone from British Airways to Kylie Minogue. There’s an expansive area for men too, with names like Jeff Banks who’s had a huge impact on British fashion for 40 years. Famous especially for his collections of white shirts and ties, Debenhams has an offer on these of “buy one, get the second half-price”. Men should also head for Ted Baker for super-sharp suits, broad check and even floral sports jackets, brightly colored ties, deliberately short trousers and contrasting jumpers, all of which are designed to reflect the dandy trend at the moment in menswear.